Memorial services for Alice Ruth Beard, 64, of Lufkin, will be held at 1:00 p.m. at Friday, January 25, 2019 at Shafer Funeral Home in Lufkin with Rev. Ron Davis officiating. Ms. Beard was born September 24, 1954, in Freeport, Texas, the daughter of the late Grady Beard and Susie Bell Beard, and died Tuesday, January 22, 2019 in Lufkin. Ms. Beard loved the outdoors and animals, especially dogs. She enjoyed working on cars and making flower arrangements. 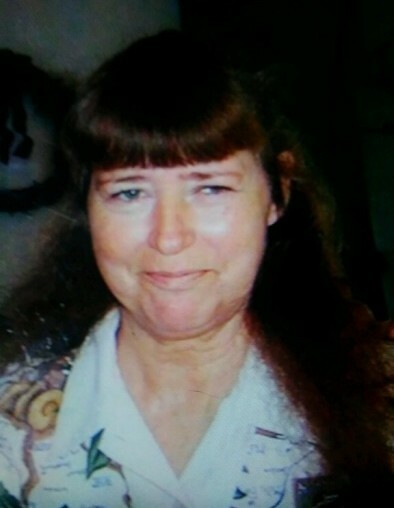 She is survived by her daughter, Tammy Beard of Sheppard; son and daughter-in-law, Ronnie and Tyease Ethridge of Lufkin; son and daughter-in-law, Terry and Tracey Lee Ethridge of Livingston; grandchildren, Jasmine Ethridge, Terry Austin Ethridge, Rebecca Arnitage, Dedra Arnitage, and John Arnitage; brother and sister-in-law, Dan and Willie Mae Beard of Angleton; brother, Aaron Beard of St. Clair Shores, MI; brother and sister-in-law, Robert and Pat Beard of Livingston; sister, Margaret Beard; and sister, Mary Smith of Danbury, TX; along with a host of other relatives. Ms. Beard was preceded in death by her parents; and brothers, Henry Frank Beard, Edward Lee Beard, and Jay W. Beard. The family would like to extend a special thanks to the staff of Castle Pines Nursing Home for all the love that they showered Alice and their family with. They would also like to extend thanks to Shafer Funeral Home. Both of these facilities are five-star. Please never forget that Jesus loves you! God bless and stay encouraged!